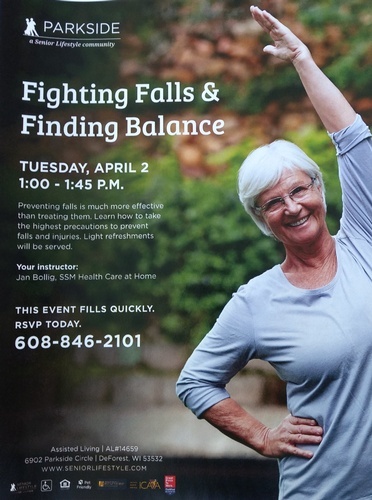 Join Jan Bollig, SSM Health Care at Home Instructor, to learn more about preventing falls. Preventing falls is much more effective than treating them. Learn how to take the highest precautions to prevent falls and injuries.